Water on Earth. Source: Howard Perlman, USGS ; globe illustration by Jack Cook, Woods Hole Oceanographic Institution ; Adam Nieman. All water on Earth is represented in the big blue globe. The medium blue globe represents all the fresh water, indicating that the rest of the water is salty. 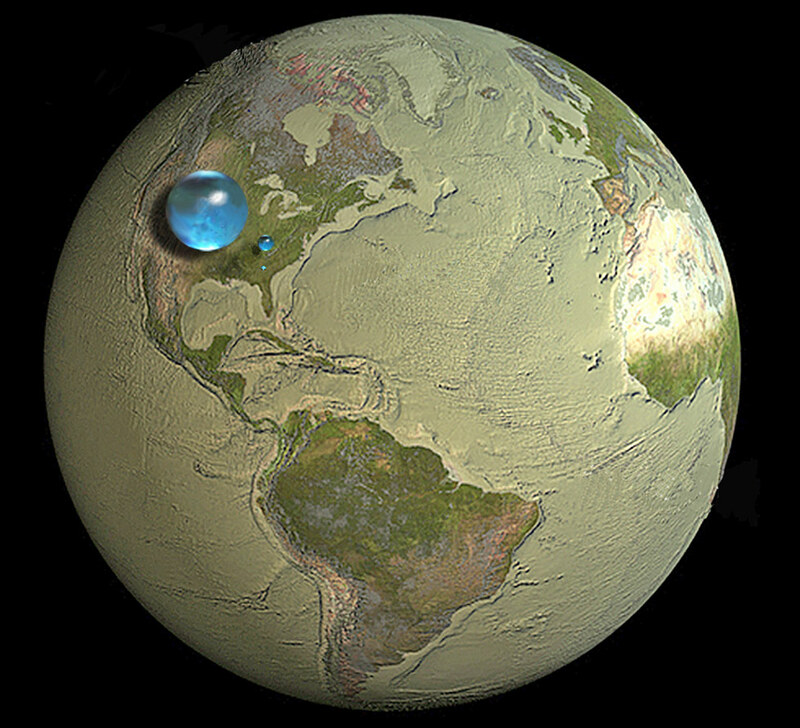 Finally, the small tiny blue globe represents the fresh water available for human consumption. And then, you think that this is really very few water for all 7.5 billion human beings, don’t you?